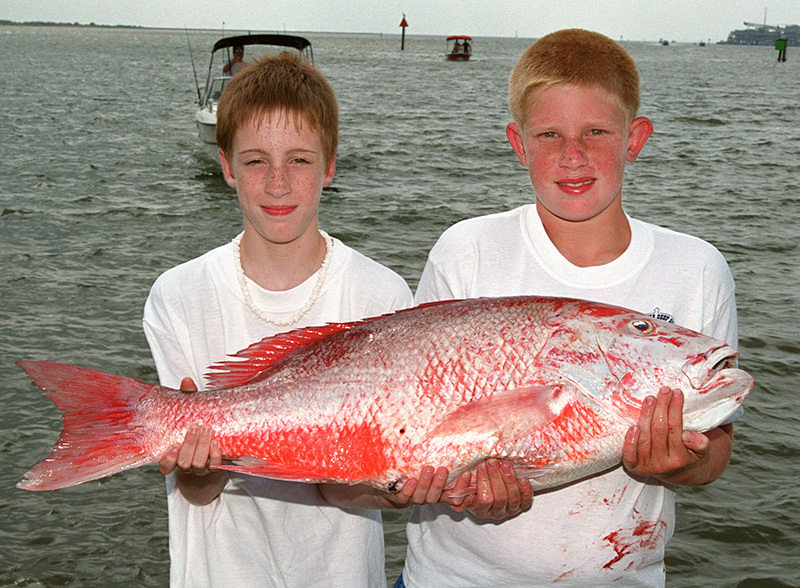 Young anglers display a red snapper caught in Mobile Bay during the Alabama Deep Sea Fishing Rodeo in July 2002. Courtesy of The Mobile Press-Register. All rights reserved. Used with permission. Photograph by Chip English.